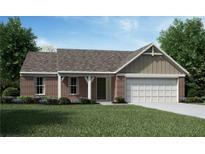 Indigo Springs - This home has the convenience of being close to JB Stephens Elementary, shopping and interstate. MLS#21624125. McGauley Realty, Inc..
Sugar Creek Valley Estates - This Home Also Features A Living Room, Formal Dining Room, Spacious Family Room With Gas Log Fireplace, Three Bedrooms, Two Full Baths, Gas Heat With Central Air, Wonderful Spacious .46 Acre Wooded Lot, Large Two Car Attached Garage With Electric Door Opener, Refrigerator, Dishwasher, Laundry Closet, Located In The Mt. Vernon Schools, Plus More !! ! MLS#21624080. F.C. Tucker Company. Better hurry this is the only house on the market in Mill Run. MLS#21623874. David Hunter. Sugar Creek Valley Estates - Updates include newer roof (2012), HVAC (2016), water heater (2016), and well pump (2016). MLS#21623051. Stratton Realty Group, LLC. You won't want to miss out on this home! MLS#21623727. Reed, REALTORS®. Bring your ideas and see the vision of what country living can be. MLS#21623463. Front Porch Real Estate, LLC. Need I say more? House back to Riley Park. MLS#21623081. RE/MAX Ability Plus. 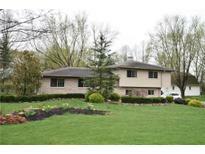 Huntington Heights - Come take a look at this home. 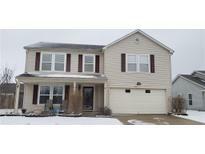 MLS#21623295. CENTURY 21 Wilson & Associates. This home has a lot to offer just minutes from interstate, shoppes and more. MLS#21619768. 101 Realty Group, LLC. Stone Ridge - The basement is ready to finish with roughed in bath, to offer another almost 2000 sq ft. A must see! 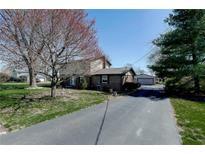 MLS#21622592. Highgarden Real Estate. Pierson - This property features a fully fenced rear yard with handicap accessibility to garage and home, a nice sized mini barn for storage, a large eat-in kitchen with pantry, split bedroom floor plan, and much more! Don't miss the opportunity! MLS#21622628. RE/MAX Realty Group. Country Ridge - This home is ideal for entertainers and animal lovers. MLS#21622537. Hemrick Property Group Inc..
Of Living Space * 4 Bed * 3 Full bath * Several Newer Windows * Updated Lighting & Ceiling Fans * Newer Atrium Door W/built-in Blinds Leads To Rear Deck * Newer Full Fenced Rear Yard W/Pond * New Hvac 2018 * 15x13 L/R W/Offset Staircase * Huge 25x15 F/R Could Be Main Level master Suite W/Dramatic Exposed Beams & Thoughtful built-ins * Seperate D/R W/Engineered Hardwood floor * Updated Kitchen Features stainless steel Appliances Quaint Breakfast room * 21x14 master Ensuite with Vaulted Ceiling Bath, walk-in Closet & Attic Storage * Over-sized Bedrooms * Closet Space Galore * Welcome Home! MLS#21619593. F.C. Tucker Company. This home needs a lot to make it move in ready but worth taking a look at. 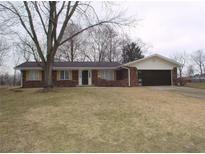 MLS#21619640. Owners.com. This is truly one of the finest homes in Greenfield. 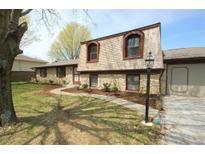 MLS#21619249. Welch & Wilson Real Estate, LL. Upstairs offers 2 bedrooms with walk in Closets w/Jack n Jill Bath, Enormous Bonus Room (entertainment/TV Stand will remain) above 3 Car Garage Area & Spacious Loft Area! MLS#21618928. F.C. Tucker Company. St James Manor - Guest room on main level with ensuite. Around $25k of landscaping. MLS#21618471. 101 Realty Group, LLC. 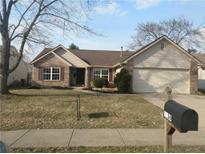 Sherwood Hills - Lots of updates and upgrades don’t miss out MLS#21618367. Ala Carte Realty. Meridian East - HVAC & heat pump completely replaced 10-18 with a 16 seer Trane system. 2 Garage has bumpout. MLS#21618220. Advocate Realty, Inc..